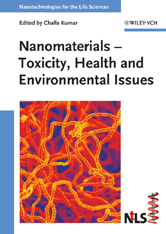 Offering a unique overview of nanoparticle-related environmental risks depending on particle type and exposed surroundings, this volume brings together both medical and nanotechnological aspects. The book adopts an in-depth approach to toxicology from both particle size as well as particle nature, covering all important nanomaterial classes: carbon materials, polymers, metals, and metal oxides. Clearly structured, the text is careful to address the effects on human physiology, air, water and the general environment.